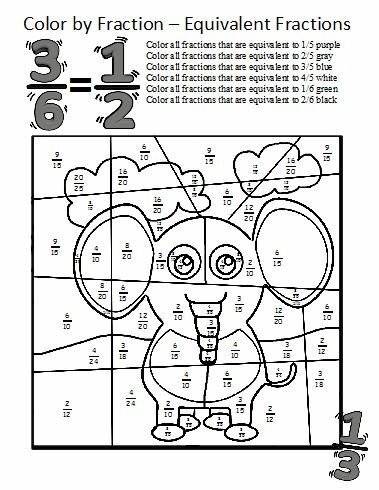 Coloring by numbers is a common activity for Kindergarten and first grade. 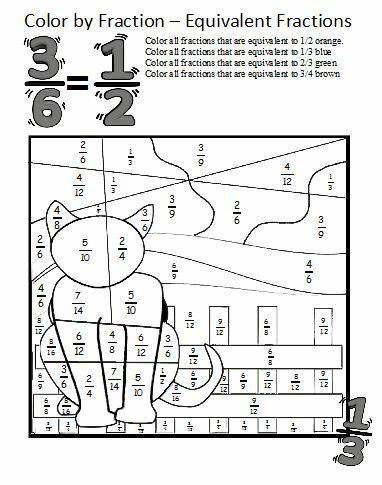 Here is a chance to use the concept to have students practice learning fractions skills. 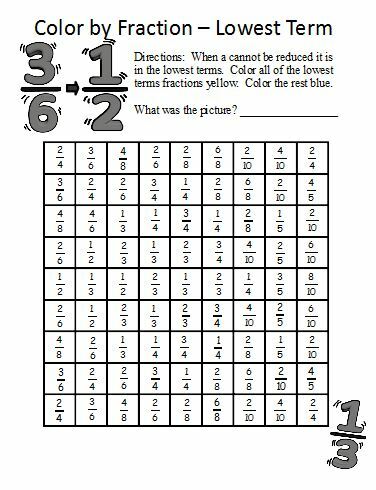 The following color by fractions pages allow students to practice finding equivalent fractions. 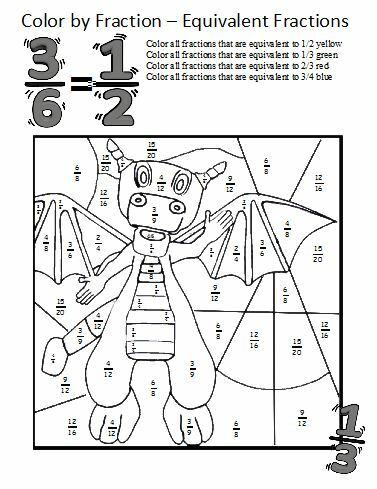 A way to extend this activity is to have students list all of the equivalent fractions used in the coloring page by what fraction they are equivalent to. A fraction that is in its lowest term is when the numerator and the denominator don't have a common factor that is great than one. Or in other words, it is a fraction that cannot be reduced anymore. 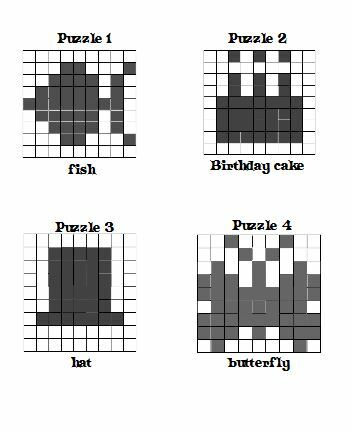 The following worksheets allow students to practice finding the lowest terms by discovering a hidden picture. 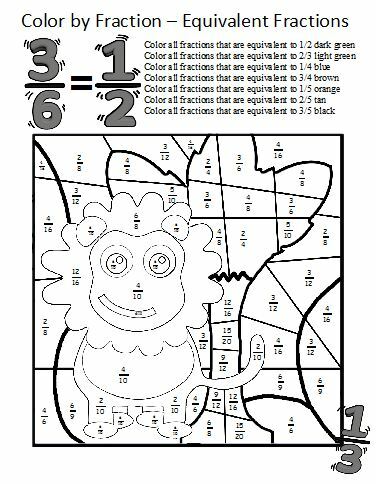 They must color all of the squares that have a fraction that is in its lowest terms.